Thank you so much Dogdaz for this special award! I am so delighted. It is even more special as Dogdaz was one of the first followers of my blog – so thank you!! I have decided to award this to the people who most inspire me and have kept up contact with me even when my blogging has been a bit thin on the ground of late! Once again thank you very much Dogdaz for nominating me!! Thank you! I am glad to accept. It could take me a bit of time to do my formal acceptance, but I will! Have a great day! Thank you very much Alex, i’m happy to accept the award for Poets Corner, Harry. congratulations on your award – and what a lovely lot of blogs to share it with! might take me a while to read through them all! Nah – I’m not that ‘nice’ hehe! 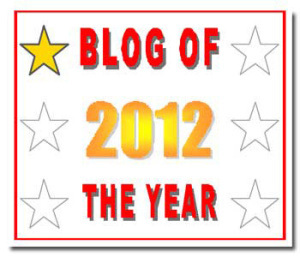 I just know a good blog when I see one and yours is a fantastic blog!